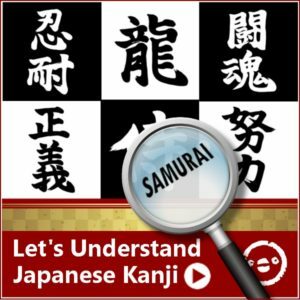 Let’s find out which Japanese kanji is your favorite! 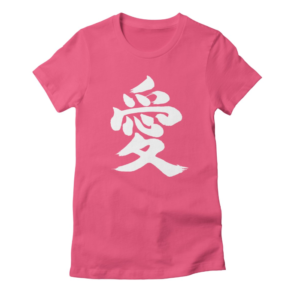 On this page, I will explain the meaning of Japanese Kanji found on our Calligraphy Kanji shirts. 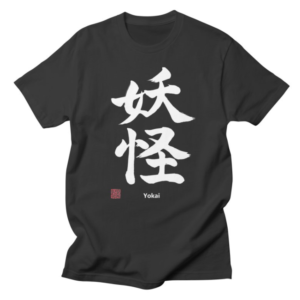 I bet you have seen many forms of Japanese Kanji (or Chinese Characters) in Martial Art Classes, Hollywood Movies, Kung Fu Movies, Asian Dramas, Video Games, Anime, Manga, and Comic Books. 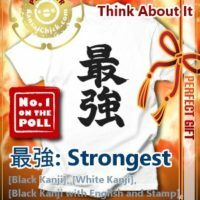 I hope you can find your favorite kanji words within this list. A variety of items are available for each design, and they come in multiple color options. Do you want to motivate yourself? 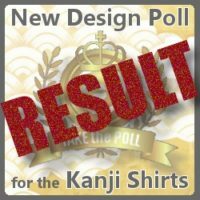 Wear these Kanji T-shirts and you’ll be motivated in no time! 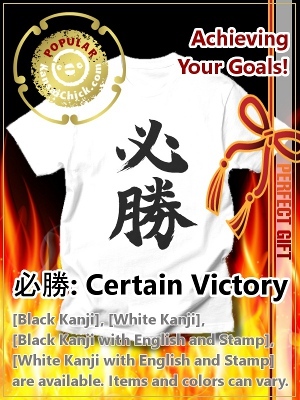 The Japanese kanji “必勝” means “Certain Victory” and it’s a famous traditional slogan used all the time in media, movies, pop culture and comics. You can usually find people wearing it on a headband while training or studying for a special event. Work hard to reach your awesome victory moment! 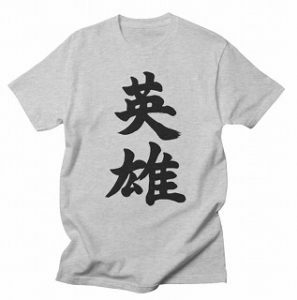 The Japanese kanji “努力” means “Pushing Yourself”. 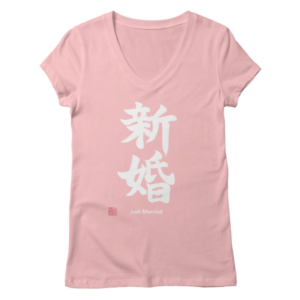 This Kanji symbol is open to interpretation, other translations include: “Hard working”, “Endeavour”, or “Great effort”. Sometimes we need to try hard to do even something we are not good at, don’t we? At that situation, we definitely need and do “Doryoku”. 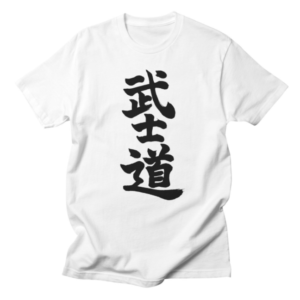 Doryoku comes first in the set of one of the most famous Japanese slogans for success, “努力(Great Effort)”,”根性(Guts)” and “忍耐(Patience)”. The Japanese kanji “努力” means “Guts”. 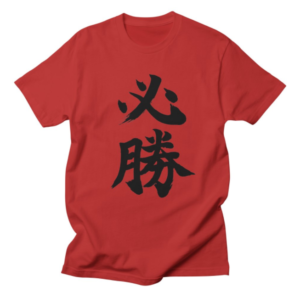 Possibly, 根性 The Guts T-shirt is the most classic motivational T-shirt used in Japanese comic books and animations. Motivate yourself and others when they see the slogan: Guts! 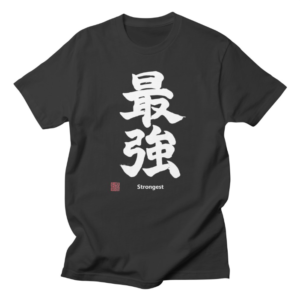 Konjou comes second in the set of one of the most famous Japanese slogans for success, “努力(Great Effort)”,”根性(Guts)” and “忍耐(Patience)”. 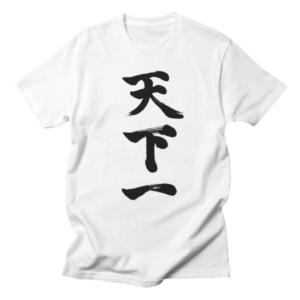 The Japanese kanji “忍耐” means “Patience”. 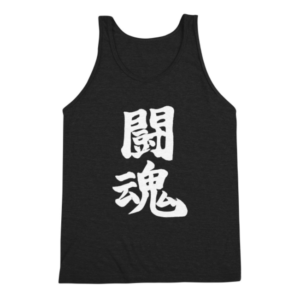 This Kanji is open to interpretation, other translations include:”endurance”, or “perseverance”. 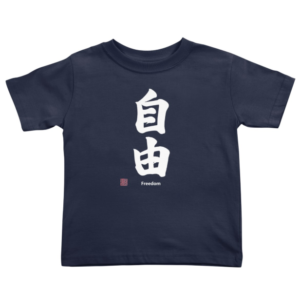 Nintai comes third in the set of one of the most famous Japanese slogans for success, “努力(Great Effort)”,”根性(Guts)” and “忍耐(Patience)”. 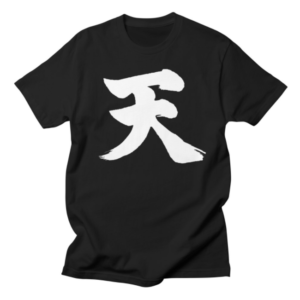 The Japanese kanji “闘魂” means “Fighting Spirit”. 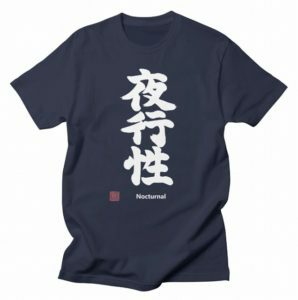 This is a popular slogan among Japanese martial artists. Fortify yourself mentally. 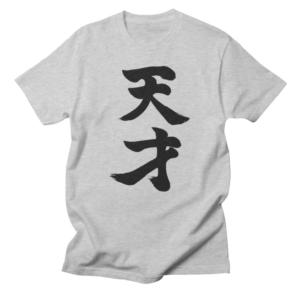 The Japanese kanji “天下一” is often translated “#1 under Heaven” in USA. But this Slogan is open to interpretation, in Japan a more common understanding would be “#1 in the world” or “The Best on Earth”. 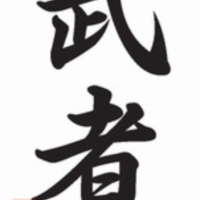 If you read only the letter “天”, it is “sky and above” and “下” is “under”. That’s why, “天下” means “world (everywhere under the sky)”. 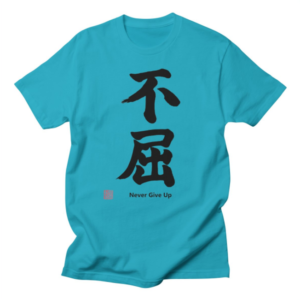 The kanji “不屈” translated it means, “Persistence” or “Never Give Up”. The first letter means “denial” and the second one means “surrender” here. The Japanese word “鍛錬(tanren)” means “Training” but it contains a little more special meanings. The left part of both kanji is “金” and the kanji that related to metal usually has that left part. The word “鍛錬” also means “Forging”. 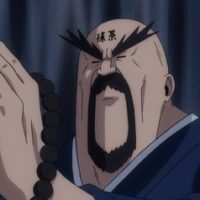 So, we use the word “鍛錬” when we train ourselves hard or somebody else to improve their physical and mental skills just like a blacksmith forging the metal. What’s your Motto? What do you think is important in life or what do you want to be like? Share that with the world! 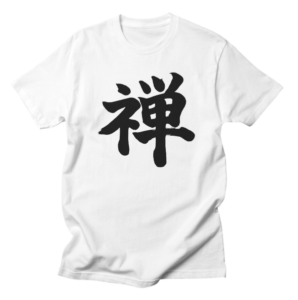 The kanji “愛” means “Love”. 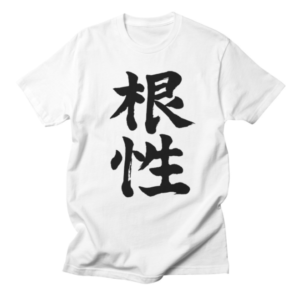 This is one of the most famous kanji. “愛” includes any kind of love. 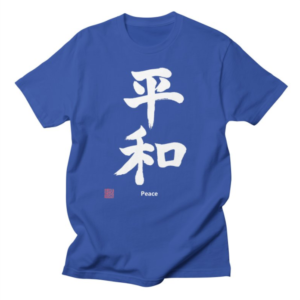 The kanji “平和” means “Peace”. No war, no fight, no anxiety and be safe. The Japanese kanji 自由 “Freedom” represents not to allow restraints from others and to be able to express yourself as you would like. 禅 “Zen” is a mental training to reach the mindfulness. The basic idea of Zen is to search for the truth of who you are. The kanji word “禅” is the short name of 禅宗 (zensyuu: Zen Sect). It’s a sect of Mahayana Buddhism, but it’s not exactly religious concept. It’s a practice. The kanji “侍” means Samurai. A High class warrior of Japan. Their motto is being strict yourself, brave and proud. The samurai system has been gone for long time but even today young people respect them and they are inspired by them. 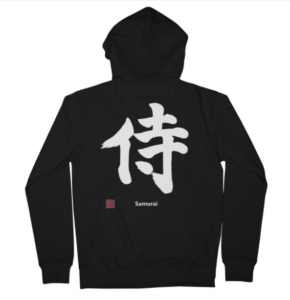 Be a Samurai! 忍 “Shinobi” is what Ninjas are. Usually ninjas call themselves “Shinobi”. This character means holding back any kind of emotions and being stealthy. Ninja is an assassin class warrior from Japan highly skilled in espionage and information gathering. 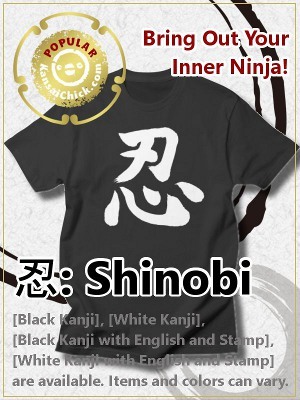 If you are a Ninja then, you are “Shinobi”! The kanji word “英雄” is usually translated into “Hero” in English. Japanese dictionary explains that “英雄” is “a wise and strong man who accomplishes something that ordinary people can’t do”. 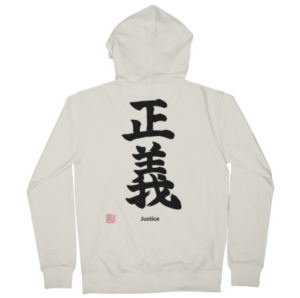 The Japanese kanji “正義” means “Justice”. In Japanese pop culture, they often call hero “正義の味方 (Seigi-no-Mikata: Hero of Justice)”. 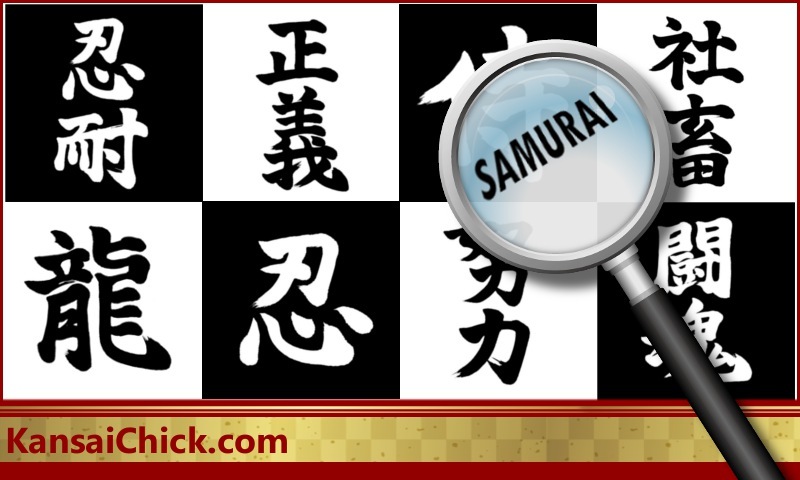 武士道 “Bushido” is the code of moral principles which samurai were required or instructed to observe. Most commonly stressing some combination of frugality, loyalty, martial arts mastery, and honor until death. Do you want to advocate who you are on your shirt? Sometimes it’s funny, cool, ironic or cute. What’s your comment for the day? 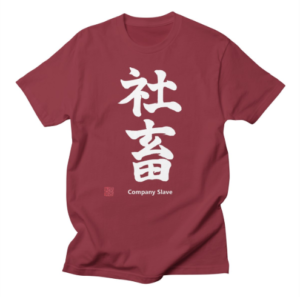 The Japanese kanji “天才” means “Genius”! 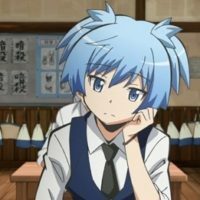 Genius is the person who got 才能(sainou: Talent) from 天(ten: Sky and Above). 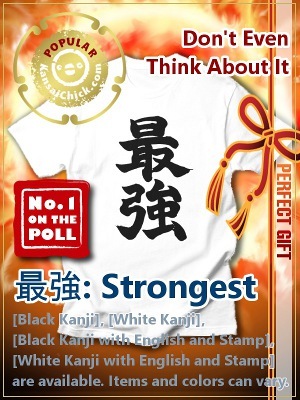 The Japanese kanji word “最強” means “Strongest”. It’s a very common words which is used often especially in comic books, video games, sports, martial arts, and so on. The Japanese kanji “独身” means “Single”! If you are single you can put this on and let the world know, “I’m Single”. Without telling anything, you’ll get attention especially from Japanese boys and girls. 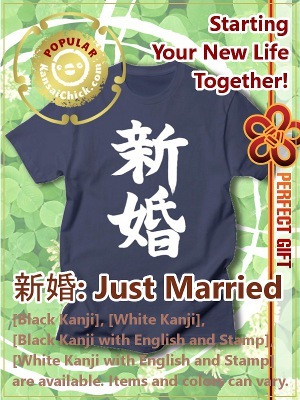 The kanji “新婚” means “Just married” or “Newlywed”. In japan, we call just married couple “新婚さん(shinkon-san)”. Did you recently get married? or Maybe you need a gift for a bachelor/bachelorette party? Look no further. Kansaichick has you covered with a great clothing option for the recently married or soon to be! Planning your first trip to Japan? Make yourself stand out with your, “Visiting Japan for the first time” T-Shirt or clothing. Everyone you encounter will understand it’s your first time there! It’s a conversation starter and great help when you get lost in Japan. 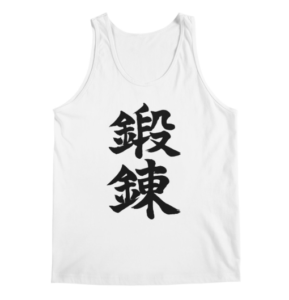 There are more cool and meaningful Japanese kanji words. 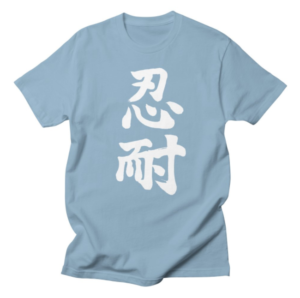 This Kanji “天” is open to interpretation, in Japan a more common understanding would be “The Sky and Above” or “The Opposite word of Earth “. The sun, the moon and stars are there. Rain comes from there. It’s somewhere we never be able to reach when we stand on the earth. 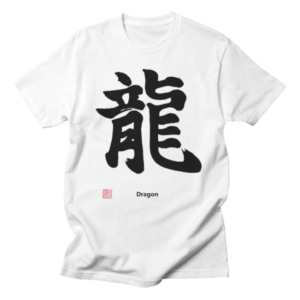 This kanji “龍” represents the traditional asian image of a dragon. A long snake like body with arms and legs. In Japan, dragon is known for the god of water. You often find dragon fountains to purify hands at shrines. It’s sometimes used as a martial arts symbol. In Japanese culture, people call fictitious monsters “Yokai”. They are eerie things that goes beyond human knowledge. It’s a perfect choice for Halloween!